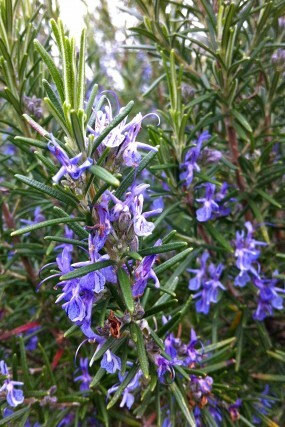 This rosemary was in brilliant bloom today at the Chelsea Physic Garden in London! I felt as though I had stepped into a small corner of the South of France by mistake.. Spring must be here at last! Check out the photos I took today and those I’ve taken on previous visits to this fascinating and beautifully kept old teaching garden for apothecaries.